Highland National offers amenities of the modern course with the feel for a grand old traditional City course. This is an 18-hole, 3,200-6,600 yard, par 72 course with a 71.2 rating. Highland's signature hole, the 15th, features a large "Snoopy" shaped bunker constructed with the permission of Mrs. Jean Schulz in honor of her late husband, Charles Schulz, who learned to play golf here. 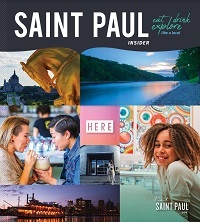 The official guide on where to golf and grub in Saint Paul. Peanuts is one of the world’s most beloved cartoons of all time. From pulled footballs to security blankets and “Oh, good grief”, the Peanuts gang changed the concept of cartoons permanently. Creator Charles M. Schulz spent much of his life in Saint Paul and much of his time here is reflected in his work.